Oh honey honey, this delectable term of endearment is not only good for our hearts but also good for our skin. Yes, honey is delicious, not necessarily nutritious but applying honey externally to our body provides beauty benefits that you need to know about. “You have food on your face” has taken on a literal meaning when you think honey. Honey has been used for hundreds of year, this beauty trend being dated back to Cleopatra, who used it for her baths. She was definitely onto something; honey is a humectant, it retains moisture, which is why it is currently a huge trend to see honey in your natural moisturizer. It is also used to heal wounds and burns. Have a cut? Get some honey on it. This stuff works. 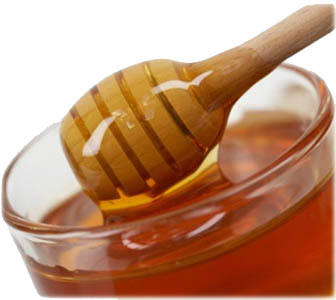 Just remember to use raw honey (not the billy bee kind) and try applying it externally onto your skin. Of course, not literally all over the body, mix it with some skin-healthy ingredients to maximize youthful skin. Try a soothing mask by mixing yogurt with honey and apply it onto clean skin. This will moisturize, hydrate and soothe your skin. Especially great to use for those of you who have sunburns or irritation on your skin. 2. It has a high level of chlorophyll, which helps with liver recovery. Hangover salad anyone? 3. Rich in calcium. Perfect for those who suffer from low bone density. It also possess the super vitamin K, which is known to absorb calcium more efficiently in the body and also prevents heart disease. 4. It contains a high level of B vitamins and folate, which are known to protect the brain from aging and decline. Next time you go out and order a salad, skip the romaine and go right for the good stuff! Never mind that in some Asian cuisines, this particular seed looks less than appetizing. But if you needed the secret to luscious healthy hair, this is it. Black sesame seeds are different from their pale counterparts due to their high levels of essentials minerals, B1 and dietary fibre. These little black studded babies are rich in magnesium and calcium. They are known as liver tonic and helps those who have naturally dry eyes. Used in Chinese traditional medicine, these seeds are known to reduce inflammation, increases energy and slows aging. It is also known to possess nutrients that promotes cardiovascular and cholesterol healthy and cancer prevention. When it comes to beauty, black sesame is loaded with tocopherols (components of vitamin E) used in anti-aging technology. Anyone who suffers from hair loss must take black sesame seeds. I usually eat some black sesame paste for dessert for a couple of days at a time and I have noticed how darker my hair and how much coverage I have on my scalp. It is also thought to moisturize the skin because of its high oil content. 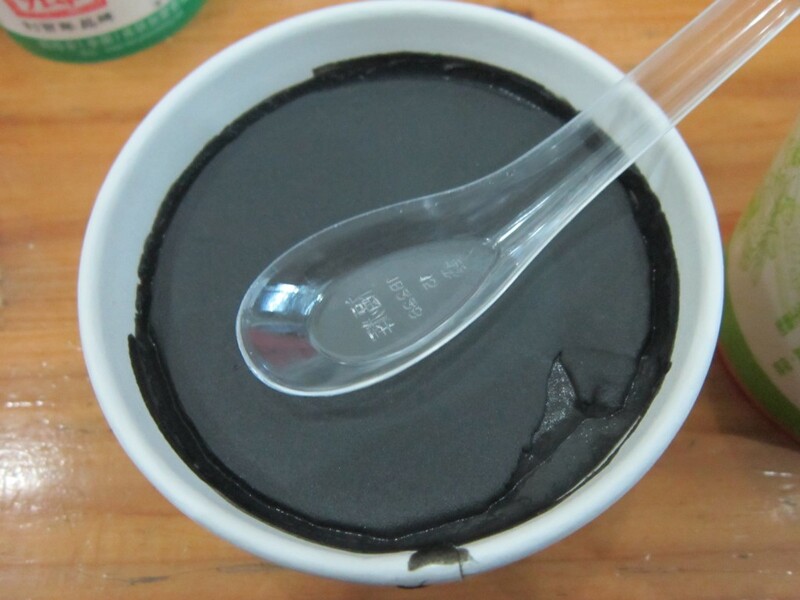 So next time when you crave a delicious dessert, go to your local Asian supermarket and grab some black sesame paste! Dont let the look fool you! Some may not think of broccoli as a beauty food but its actually great for the skin. This gorgeous green is high is Vitamin C which aids in collagen production. As you may know, collagen is what gives our skin its firm structure, literally holding skin cells together. Collagen helps our skin to look firm and youthful; but as we get older our bodies begin to produce less and less collagen and our skin begins to lose its firmness. 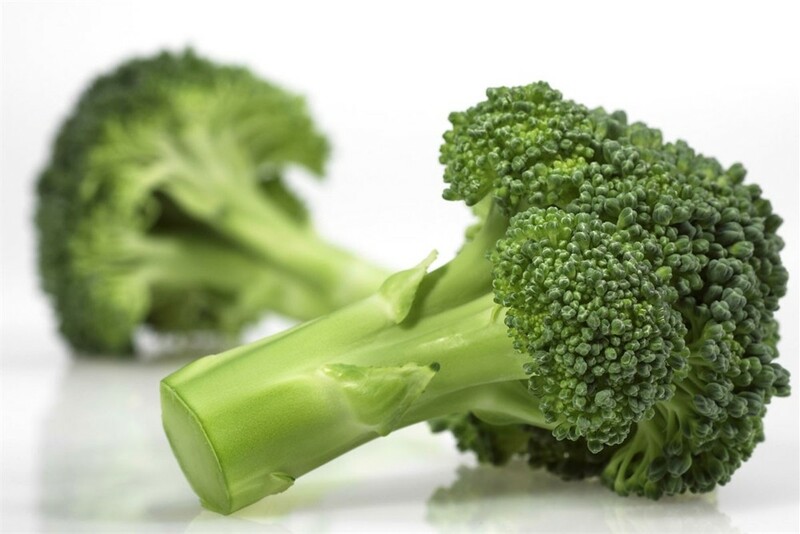 Broccoli is high in B2, fiber and antioxidants like sulphuraphane. It’s a deeply cleansing vegetable that not only purifies and stimulates the liver but also cleanses the entire digestive system. By decreasing the level of toxins in the body the entire system is able to work to its full potential. And the less toxins that we have in our system the better our skin looks. Plus the B2 is great for skin, nails and hair because it helps to promote cell growth and accelerate healing. 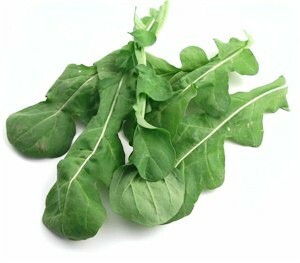 This green gem is also high is folic acid which is essential for pregnant women. But folic acid is also great for everyone else because it promotes the production of serotonin, a natural mood booster. And when you’re happy you just look better! One important thing that I must mention is that to get the most out of eating broccoli, it’s best consumed raw. So perhaps try add a few raw broccoli florets to your salad for a healthy boost? If raw food is not your thing then you can try steaming it until it’s still crunchy so that you can get more of the nutrients out of this delicious veggie. Also try to get in at least 3 servings each week so that you can get enough of those skin boosting nutrients in your beautiful bodies! How often do you incorporate broccoli into your diet? 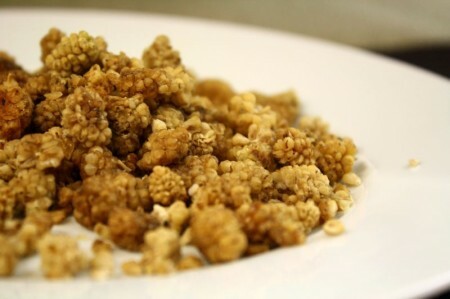 Important to Chinese medicine (since the fruit is commonly found in China and all around Asia) for its cancer preventing and longevity benefits, mulberries are considered one of the very few superfoods that serves a lot of purpose in healing our bodies. It is a blood tonic ( for those of you with anemia or brittle nails, eat this up! ), kidney and liver cleanser, and use as a remedy for gray hair! In terms of beauty benefits, mulberries have a high content of anti-oxidants and minerals to keep us young, fresh and glowing. It also possess a high level of vitamin C, which not only prevents us from colds and flu, but also counters inflammation of the skin. Mulberry is a good source of protein and it has been claimed that it strengthens hair (mineral content also contributes to healthy hair growth). It enhances appetite and digestion. Mulberries can be eaten fresh, although it is hard to find fresh mulberries within North America. It is commonly found dried and they are quite delicious, bordering sweet and tart with a chewy texture that reminds me of organic gummy bears (less dried than ordinary ones). I generally like to top my oatmeal with a bit of dried mulberries and goji berries for a nutrient dense breakfast. I’ve also eaten them as it, or in homemade granola, and yes if you chop em up, they add great texture to your oatmeal raisin cookie (it also amplifies the nutritional value of your baked treats!). The use of mulberry leaves are also found in your organic beauty products as well as for tea. 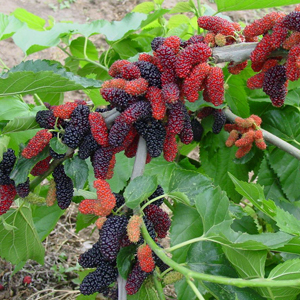 Topical use of mulberry (once infused in olive or coconut oil) are used to treat inflammation or irritation of the skin. In some Chinese saunas, the leaves are included in order to speed the detoxification of skin. Remember, beauty is inside first, then out, so add these to your diet!